The small tropical island of Milaidhoo is encircled by a vibrant coral reef and warm clear-blue waters and secluded in the heart of a UNESCO biosphere reservation in the Maldives. Milaidhoo Resort prides itself on doing things differently and re-thinking the concept of luxury. They don't regard their customers as holidaymakers, but rather as story-writers, creating their dream holiday. 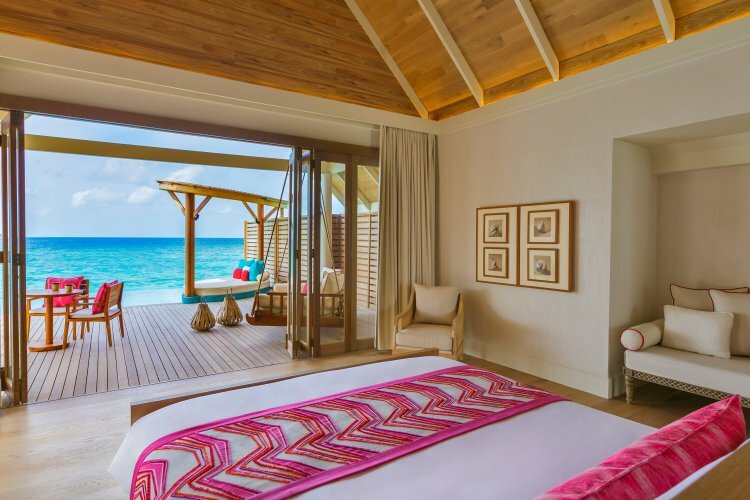 Having just recently opened (November 2016), Milaidhoo is a boutique luxury resort in the Baa Atoll, nearby Hanifaru Bay, 126km north-west of Male. You can reach the island on a scenic 35-minute seaplane ride from Male International Airport. The island is nature lovers' paradise: their own coral reef, which encircles the island, is a protected area and regarded as an exceptional snorkelling and diving site in its own right. This small yet superb island, rich in tropical greenery, measures just 300m by 180m and is fringed by soft white sandy beaches. The island is ideal for couples and honeymooners, as it's the perfect romantic escape. Families with children over the age of 9 are also welcomed. The high-end furnishings and amenities at Milaidhoo have been tailor-made for your comfort and crafted around guests' needs. The service provided is excellent and staff are always friendly, in line with their 'barefoot informality' ethos.